Comics! Pipkin Papers(1970)! 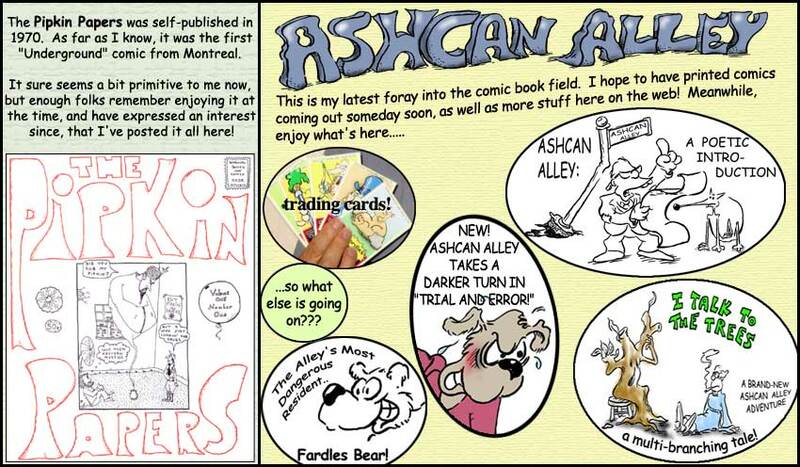 and Ashcan Alley! Brand New! The Ashcan Alley Comic Strip, Page One! Note: If you wish to purchase Ashcan Alley Comics, e-mail me here for current prices and availability!